Former Seattle Sonics and Oklahoma City Thunder player Robert Swift was charged with unlawful possession of a short-barreled shotgun after police raided the house where he was living, the Seattle Post-Intelligencer reports. According to police, Swift had a grenade launcher and a sawed-off shotgun in his room at the home of Trygave Bjorkstam, a 54-year-old alleged heroin dealer. Swift told law enforcement that he is a heroin user but not a dealer, police say. Bjorkstam allegedly told police Swift was not helping him sell drugs. The house is 100 yards from an elementary school, reports the Post-Intelligencer. Swift’s $US1.3 million house outside Seattle was foreclosed on last year. 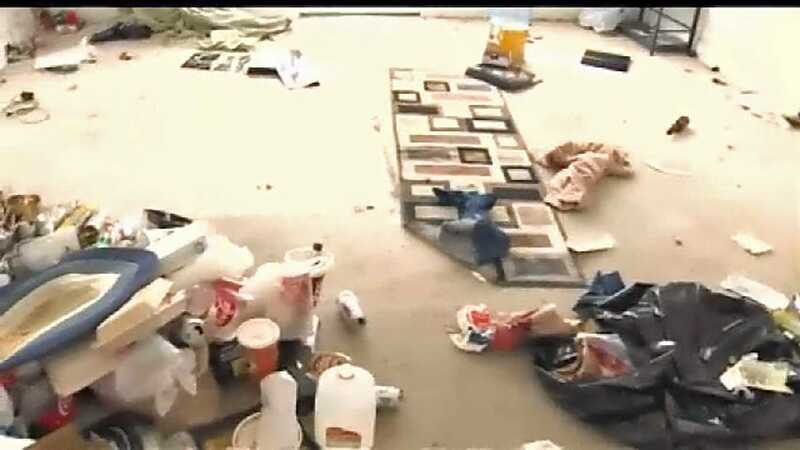 He left it covered in feces and bullets, according to the family that bought the house. Komo News screenshotA screenshot from inside Robert Swift’s old house. Swift was a part of the last wave of high school seniors who jumped straight to the NBA before the league instituted age-limit rules. 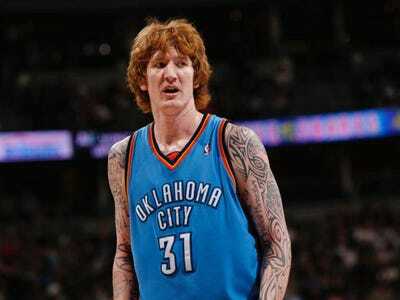 He was taken 12th overall by the Sonics in 2004 at age 18. He played five years in the NBA, only averaging more than 20 minutes per game once. He made $US11.4 million before he fell out of the league in 2009.